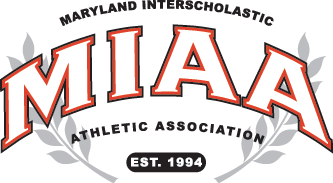 How tough of a ticket was Monday’s St. Frances Academy/Poly boys’ basketball contest at Goucher College? Villanova University national championship-winning men’s basketball coach Jay Wright was among the hundreds unable to get in to witness the matchup of the area’s top two squads. For the nearly 2,000, some standing under each basket inside of Goucher’s Decker Sports and Recreation Center, it was worth the price of admission. The second-ranked Panthers pulled away for a 65-57 victory over No. 1 Poly. Junior forward Bassirou Diop had 18 points and six rebounds for St. Frances (21-2 overall), and Jordan Toles added 11. Long Beach State University recruit Demetrius Mims finished with a game-high 27 points for Poly (8-2). The East Chase Street school rallied from a 33-30 halftime deficit, laying claim to the consensus top-ranking in the area. The Panthers are one of two teams (Indian Creek School) yet to lose to an area opponent. St. Frances relished the frenzied atmosphere. Diop, 6-foot-7, arguably stole the show, scoring 13 of his 18 points in the opening half. In the second half, Diop defended Mims, who had nine points over the final two quarters. Mims went nearly the length of the court and finished with a dunk, bringing Poly to within 54-52 with 3 minutes, 45 seconds remaining in regulation. Jones arguably reversed momentum for good for St. Frances, driving the baseline and finishing with a dunk and connected on a 3-pointer, pushing the lead to 59-52. The dunk was the first this season by the 6-foot-2 junior guard. The Panthers, whose fourth quarter free throw shooting this season has been marginal at best, went 6-for-6 over the final minute. Like a championship prize fight, Poly and St. Frances traded crowd pleasing hay-makers in the first half. The defending Class 3A state champ Engineers jumped out to a 15-6 lead in the first before St. Frances answered with a 13-3 run, capped with Edward Ferguson’s runner off the glass for a 19-18 advantage. Mims, who scored 10 points in the second quarter, dropped a jumper, putting Poly up 33-28 late in the first half. The 6-6 wing scored inside off a pass from Justin Lewis, tying the game at 39 in the third quarter. Off a steal from Jordan Toles, Diop finished a pass from Jones, regaining the lead for St. Frances. Raheem Ali’s 3-pointer beat the third quarter buzzer, pulling Poly to within one at 47-46. The Baltimore City public squad was down 54-52 after Mims’ flush before Jones answered with his rare dunk. The Engineers missed three opportunities, and Jones drained a 3-pointer, putting St. Frances up 59-52 with 2:14 left in regulation. Juniors Bass Diop (left) and Rajear Jones each had big moments for St. Frances Monday evening. Jones had a dunk and 3-pointer in a key fourth quarter stretch while Diop finished with 18 points and six rebounds as the Panthers improved to 21-2 on the season. Sophomore point guard Adrian Baldwin added 10 points, five assists and four steal and senior Elijah Epps had eight rebounds and four assists. Koran Moore helped stymie Poly’s attempt to cut into the 56-52 deficit with a block on Ali’s drive. The Panthers’ mix of depth, experience and unselfish play has fueled their best start (through 23 games) since the 2008-09 season (started 20-3) when they won the MIAA A Conference and Baltimore Catholic League championships. Poly – Mims 27, Ali 17, Horton 6, Lewis 5, Walker 2. Totals 23 4-7 57. St. Frances – Diop 18, Toles 11, Baldwin 10, Jones 9, Epps 8. Ferguson 5. Totals 25 13-14 65.